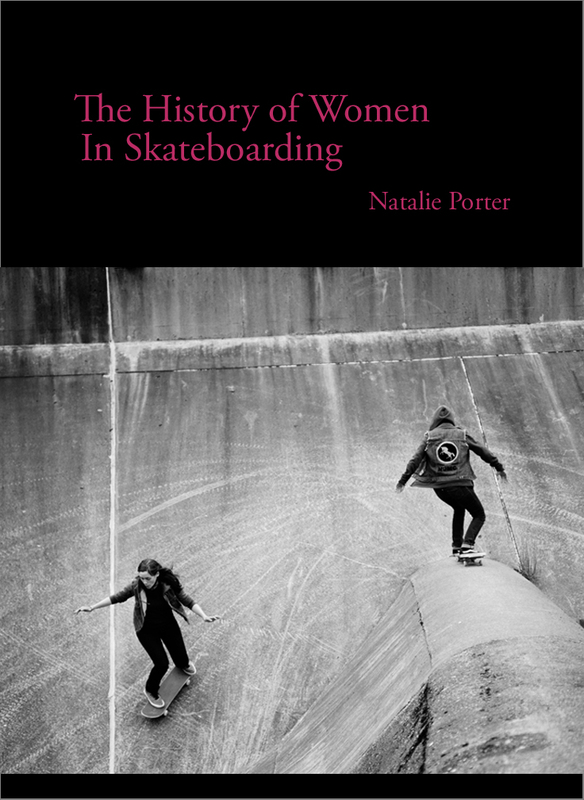 I published The History of Women in Skateboarding (2014) in eBook format as a fundraiser for Skateistan (Afghanistan) and Chab Dai (Cambodia). This is the only comprehensive guide to the history of women in skateboarding from the 1960s to the new millennium. The book is a well-researched, detailed account featuring the pioneer skateboarders, interviews, articles, videos, zines, magazines, websites, sponsors, companies, and contests that have led to the incredible skateboarding scene for women today. To compliment the book I have two photo collections (1960s – 1970s, and 1980s-1990s) via Pinterest with over 140 vintage photos of women skateboarding. The book is based on my thesis paper, “Female Skateboarders and their Negotiation of Space and Identity” (2003).